Please join us at the Saturday, April 14, 2007 MARP Member Meeting in Royal Oak. The meeting will begin at 10 am. We will be hosted by Woody’s Diner, 208 West Fifth Street. 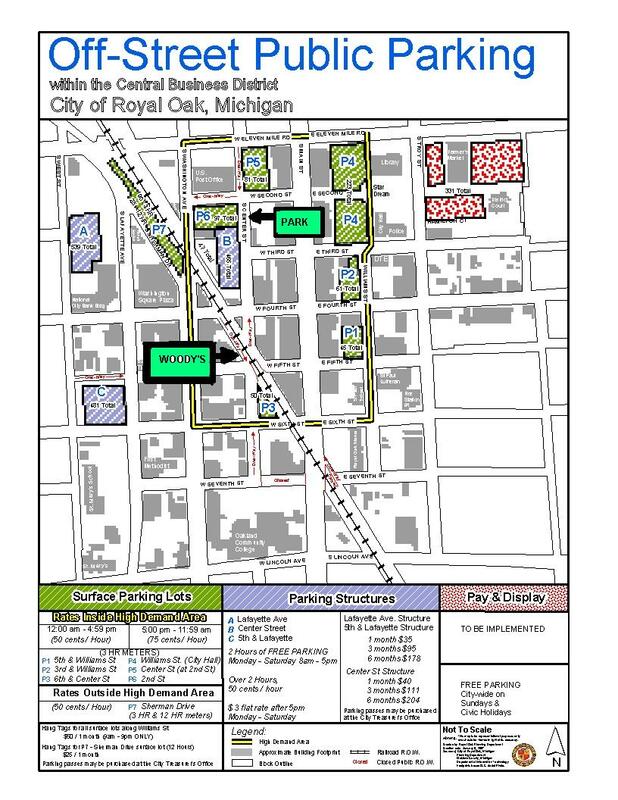 Click for a map and parking directions. If you park in the Center Street deck as shown, the first two hours are free, then it’s 50 cents per hour afterward. Pay as you leave. Walk south on Center Street to Woody’s. If you have not been to Woody’s Diner, it is a large railroad-oriented restaurant and tavern located right next to the CN Holly Subdivision main lines. We will be upstairs in the meeting area and will have the floor to ourselves. The train viewing is excellent. The management has provided the meeting space at no cost in hopes that many of us will eat lunch downstairs after the meeting. It’s a great menu, good food at a reasonable price. Attendance at the meeting is free. Dress code is casual. The agenda for the meeting will be posted at www.marp.org about a week prior to the meeting. Minutes of previous meetings (including March 10, 2007) are posted at the website. If you haven’t renewed your MARP membership for 2007, please do so as soon as possible. If you did not receive a renewal card in the mail, email marprail@yahoo.com. Our primary expense is the Michigan Passenger newspaper, which we would like to continue publishing regularly. The next issue is scheduled to be out in April. I hope to see you in Royal Oak on April 14.